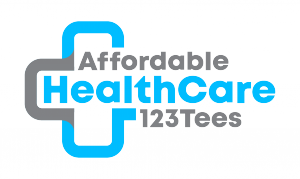 Affordable HealthCare 123 Tees has just launched their new website, giving them a platform to further pursue their goal of affordable healthcare. SACRAMENTO, CALIFORNIA, USA, January 11, 2019 /EINPresswire.com/ -- The online apparel company, Affordable HealthCare 123 Tees, has just launched their new website, giving them a platform to further pursue their goal of affordable healthcare. The company seeks to do so by selling shirts with a number of messages about healthcare so that people can wear the information on their sleeve; however, the company also donates 10% of every order to advocacy groups and organizations providing assistance to families and individuals in need. With this new website, the company can make the customer experience smoother as well as provide a space to post relevant educational information about aspects of American Healthcare. It all started with a homemade shirt. The founder Sarah Williams, a graphic designer, went to a political rally in Sacramento near her home and she happened to wear a shirt she’d custom made for the day. She remembers, “While I was at the rally, numerous people came up to me and asked me where I got my shirt, and they could get one as well.” At that moment, Sarah realized that she could use her skills to help a cause she was passionate about- affordable healthcare. Soon after, she began Affordable HealthCare 123 Tees, a way for people to spark valuable discussions while being fashionable and comfortable. The company is still getting started. However, Sarah has high hopes for the company, expecting to achieve “at least a 10-15% market share of the industry in three years.” It may not be easy, but Sarah and the company as a whole have high hopes. “We began this business to thrust ourselves into space where disagreements are prone to happen, but where community-wide education on the real facts of the matter is very possible.” With a new website, they gain even more space to raise funds and knowledge.